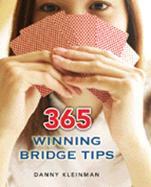 Synopsis: Includes 365 Bridge problems, the type that an average player would encounter during bidding and play. As a leading pro, Danny shares his lessons learned. Most of the problems are very simple ones, that gave a variety of players, mostly "intermediate" but including occasional beginners and experts, some trouble. You won't find bidding problems worthy of the Master Solvers' Club (a monthly Bridge World feature), declarer-play problems fit for "Test Your Play" (another Bridge World feature) or problems to challenge defensive maven Eddie Kantar. Instead you will find the kinds of "bread and butter" problems that arise several times a session each time you trudge to your local duplicate bridge club or travel to a sectional or regional tournament.